Five Ways to Use Humor to Build a Brand | Rozdeba Brand & Co.
Five ways to use humor to build a brand. Building your brand on humor is no laughing matter. In fact, this choice can be a high-risk (but high-reward) branding option. Laughter is the obvious outcome, but humor also creates a positive emotional relationship between a brand and its customers. Humor can cut through the clutter and go viral in seconds—because funny attracts eyeballs. People reward clever, creative and witty humor by watching and sharing it. Humor can revitalize an old offer or make an ordinary product extraordinary overnight—and it can make you into a brand that people want to be associated with. Frog or no frog, Dr. Peter McGraw and Joel Warner wrote the book The Humor Code. In the book, they developed the Benign Violation Theory, which states that two simultaneous conditions are needed to make something funny. First, it must violate the way we think the world should work and second, it must be benign enough that it does so in a way that’s not threatening. This is the fine line of what is funny or in downright bad taste. A master of Benign Violation is comedian Jerry Seinfeld, who has the innate talent of pointing out outrageous funny things (violation) in everyday life (benign). My favorite example is the episode where Mr. Pitt eats a Snickers bar with a knife and fork. Jack Schafer, Ph.D., a writer for Psychology Today, says “laughter releases endorphins, which make us feel good about ourselves and others. This good feeling creates a bond between two people and imbues a sense of togetherness.” Brands that incorporate humor in their branding strategy can increase their likeability. Unfortunately, I can’t find any significant research to support this claim, except to say that intrinsically we all do business and build relationships with people we like. Rohit Bhargava, author of Likeonomics, says we are living in a world where brand believability is very low. Consumers are bombarded daily with corporate speak, half-truths, or biased messages. For the sake of survival, they are ambivalent or negative to these messages as a default—Bhargava calls this the “likeability gap.” To bridge this gap, brands must build trust, be relevant and be unselfish in a timely and simple fashion. Doing something different, like using humor, can make a brand relevant and can create significant impact in a world of sameness and brand parity. Humor generates big dollars in the entertainment industry. From 1995 to 2017, Statista movie box office revenue data shows that the comedy genre rakes in a total of $42 billion, second only to adventure movies. Comedy has continued to grow over recent years, with over 17.6 million people visiting a comedy club in 2016. That’s an increase of 10 percent since 2014! A contributing factor to this influx is the mass broadcasting of comedy specials and routines on Netflix and YouTube (where comedy is the 5th biggest channel), and popular live events like Montreal’s Just For Laughs Festival, that attracts over two million spectators each year. The rise in comedy popularity is particularly true for younger viewers—according to a recent study by NAPTE/Content First and the Consumer Electronics Association, comedy is the top genre watched regularly by 74 percent of Millennials (vs. 70 percent for Gen Xers, and 68 percent for Boomers). The attractiveness of humor also applies to marketing. A quarter of television commercials are classified as humorous and, of the top 10 most-watched ads of 2017 on YouTube, four of them are based on humor. Humor can be used to bring together like-minded people under a halo of fun. Humor can bring out the unique club mentality present in celebration, without the fear of elitism. Coca-Cola, for example, is a mastermind at creating a warm and funny connection with their consumers. It must be all that sugar they put into the drink! As well as conveying emotional information about oneself, laughter elicits similar emotions in others and therefore serves a bonding function. If laughter serves a social bonding function, it should be no surprise that it also serves to increase a person or brand’s likability. Humor can be an easy way to address a difficult conversation or sensitive subject matter like insurance, banking, or personal hygiene. Somehow, the toilet tickles many-a-brand’s funny bone. Humor, when used with sensitivity, can be very successful, and even potty humor has a time and place (most likely in a boy’s locker room). GEICO is a great example of taking a sensitive subject (insurance) and transforming it into must-watch TV ads. 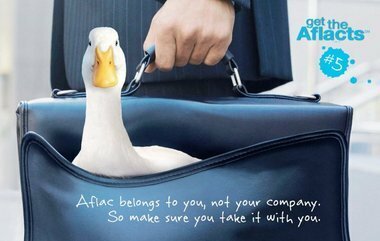 Then there is Aflac’s famous quacky and wacky duck, who helped to elevate the Aflac brand to one of the top 25 brands in 2015, based on the annual SMB Insights Study conducted by The Business Journals. 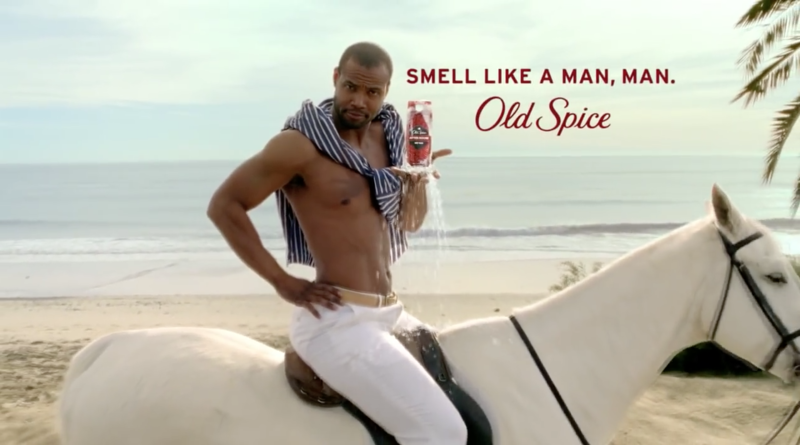 How do you take a 70-year brand heritage of Old Spice and make it relevant to not only young men, but also to the women who purchase products for the men in their lives? Women are responsible for over 50% of body wash sales, so hooking them as a demographic is vital. Eric Baldwin, Executive Creative Director at Wieden+Kennedy (the agency behind the Old Spice brand transformation) said: “When you are saying ‘Listen to us tell you about body wash and deodorant and we will entertain you,’ you’d better make sure that is exactly what you do: entertain the hell out of them.” And that is exactly what Old Spice has been doing since “The Man Your Man Could Smell Like” was debuted in 2010. How does the little brand take on Goliath who has more market share, more brand awareness, more brand recognition, and deep pockets to keep it that way? Create a cult phenomenon using humor! It’s easier said than done, but many brands have succeeded. Humor can also be used to avert potential detractors. If used correctly, humor can be a clever and original way to communicate tons of information in a playful and entertaining matter. One great example is the Dollar Shave Club. For those brands looking to capture younger audiences, it’s all about entertaining and keeping those attention-deficit consumers engrossed in nonsensical brand stories. In a study How Humor in Advertising Works by Prof. Dr. Martin Eisend at the Universitat Viadrina Frankfurt (2011), it is cited that humor may help overcome weaknesses in advertising messages. Skittles is a great example of this type of brand humor in its Taste the Rainbow commercials, of which I am not their target audience (thank heavens!). If you want to wrap your brand with humor, you need to understand what type of humor fits your brand. Are you looking for the silly giggle like a school kid? The nervous and uncomfortable chuckle? The derisive snort? The joyous cackle? The big contagious hearty belly laugh? Or the soft, suppressed chortle? The bigger the laughter, the higher the risk and the higher the potential of being divisive, but sometimes the reward is worth that risk. Sometimes, though, being too funny can have the opposite effect than you intend. There is always a brand that crosses the line and takes funny to a non-benign place. There are also those brands that are so funny and outrageous that the consumer only remembers the joke but has no idea who or what the brand was. Robin Evans, in his book Production and Creativity in Advertising, coined the phrase “the vampire effect,” where the humor or spokesperson overshadows the brand message. The moral of this story is to keep your humor on message, to help build up instead of detracting from your brand. Here is a Wrigley commercial that crossed the benign line, to the point that it was taken off air because of so many complaints. A brand’s sense of humor should come from a strong sense of who the brand is, what it stands for, and how their customers perceive it—both today and into the future. If your brand humor comes across as authentic and genuine, people will follow you and will give some leeway to screw up. In today’s world of speed, personalization and relevance humor can cut corners in production values and can capture large audiences, even if your products are boring. Humor is also about timing and context as opposed to polish. If you take no risks at all, you’ll never be in any danger of ever making anyone laugh. The headline to this article is an adaptation from the original quote “Laughter is the shortest distance between two people” by Danish comedian Victor Borge (1909-2000). The World Needs More Canadian Brands, and We’re Not Sorry.